What different routes do you offer? Can I use all 3 routes with 1 account? I have a question about another VoIP label. I have connection problems with some mobile destinations. Can you fix this? Do you offer special rates for large volumes? Do you also provide a reseller solution? Do you offer Caller ID display? I'm not a customer yet, but I have a question which is not addressed in these FAQ's. How can I get in touch with VoIP-Europe? First register by filling out the application form. After successful registering, you can setup your SIP device(s) for calls via the VoIP-Europe network. It is possible to setup multiple SIP devices with 1 account. It is not possible for a customer to create multiple accounts. Yes you can, each route has it's own dialing format. What is the dialling format for each of these routes? Please ask your question on the concerned label website. All questions regarding other VoIP labels will be ignored. You can solve the problem by programming your system to send out your CLI. Otherwise the calls are dropped by some carriers. Please note, that the call information you fill in, is merely numerical. (Example: for setting a CLI from Spain, don't fill in "+34XXX", but "0034XXX") In case that this does not help, please report back to us. Yes, only after a full month of large traffic, please contact us on info@voip-europe.com with your account number and send us your question. Yes we do. 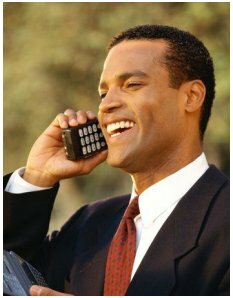 Please visit www.voip-europe.com/resellertools.php for more information. Yes we do. Please contact us on info@voip-europe.com with your account number and send us your question. Do you offer CALLER ID forward? Yes we do. all you have to do is to set the CallerID on your SIP DEVICE and we will forward it. You can also contact us on info@voip-europe.com to associate a CallerID with your SIP account. In that case, you would have to send an email to info@voip-europe.com with your account number and send us your question. I haven't received an email confirmation with my customer login data. Where can I view and change my password, email address or user profile? How do I get a downloadable version of your current rateslists & country codes? Can one customer create multiple accounts? I am a customer and I have a problem. How do I report this? It is possible that you did not receive our confirmation email due to spam filters. In that case, your registration may still have been successful. If you do not receive an Email from our customer service within 1 working day after registration, please send an email to info@voip-europe.com and ask for the status of your registration. Visit www.voip-europe.com/myaccount and click on 'forgot your password?'. Please login and choose the option 'recent calls' or 'download calls'. To change your customer settings please login and go to 'Account Settings' and choose the appropriate option. Please note online changes may take up to an hour to be processed and may not show immediately on your account. Please be patient and check your account in an hour to see if the changes have been processed. You can find the downloadable ratelists on our 'Rates'-page. Please send an email to support@voip-europe.com with your account number as a reference, you can report your specific problem and we will look into it right away. How do you inform me about ratechanges? What is the minimum topup amount? Which payment methods does VoIP-Europe offer? Do I receive an invoice by regular mail? All VoiP Ratelists are normally valid for 1 month. You will always find the current rates on our 'Rates'-page. Rates can be subject to changes without prior notice. Every rate change will be announced by Email, and you will find all current ratelists on our 'Rates'-page. We require a minimum Payment of 200. No monthly payment required. Take your time to use this credit and top up again if you run out of credit. Available payment methods are Bank transfer, Moneybookers, PayPal & Creditcard. You will find an overview of all your payments methods in the myaccount area. That depends on the payment option you use. Payments by PayPal, Moneybookers & Creditcard are processed instantly. Bank Transfers might take up to 5 working days, depending on your bank & region. As soon as we receive your payment, it is processed automatically and your account will be credited instantly. Please note that we cannot influence the transaction time before your payment reaches us. And please always make sure to include the Transaction Reference Number/customer number when you transfer a payment! (see: myaccount) Otherwise your payment cannot be allocated automatically and processing time will be subject to delays. You should take extra care in filling out the Transaction Reference Number on the transaction form! This number is used for automatic processing. Some banks do not automatically send us the Transaction Reference Number with the transaction, even if it is mentioned on the bank transfer form. So please make sure that your bank includes the Transaction Reference Number in the payment description. If the Transaction Reference Number is incorrect or missing, the order can not be processed and your account will not be credited! As soon as we received your payment, it will be processed. Processing of bank transfer payments may take up to 5 working days. We will update your credit as soon as your bank transfer has arrived in our bank account. Please do not combine payments for several orders in one bank transfer. Invoices are not sent by regular mail, but you can view your invoices and call specifications online at any time. You can view your invoices online up to 1 year after the invoice date, invoices older than 1 year can no longer be viewed or emailed, therefore please ensure you print or copy invoices to your PC before they expire. How to setup my equipment/what are the settings to make a connection? I can't connect to your SIP server by using username & Password. Can I connect by using fixed IP addresses? What is /are your IP address(es)? I want to have my IP addresses authenticated. How do I do that? I have problems configuring my own SIP device for calling with VoIP-Europe, what to do now? Does VoIP-Europe also support H.323? How many simultaneous calls can I setup? I'm trying to configure your service, but I get: 500 "Internal server error". What should I do? Do you support T38 for Faxing? Our system is compatible with all grey SIP equipment. If you have problems setting up the service, please consult the instruction manual of your hardware. I can't connect to your SIP server by using username & Password. Can I connect by using fixed IP address(es)? Yes, you can give us your IP address(es) for authentication. Important! If you are using a hosted VoiP softswitch provider like eq. Kayote Networks (etc), make sure you are ONLY using IP addresses which are uniquely assigned to your account (check this with you provider). This is to prevent that other users of the same VoiP softswitch provider are able to use your balance. I want to have my IP address(es) authenticated. How do I do that? Please send an email to support@voip-europe.com with your account number as a reference, and your IP-address(es). Please refer to the instruction manual of your SIP device on how to setup your SIP device. Also check our instructions page. Yes, you can authenticate with your fixed IP address(es). No we do not support H323. VoIP-Europe does not limit the number of simultaneous calls. The only limit is the bandwidth of your local internet link. Should you experience connection problems, please send an email to support@voip-europe.com with your account number as a reference. Please check first if you have balance on your account. If your balance is '0' you can't make any calls.